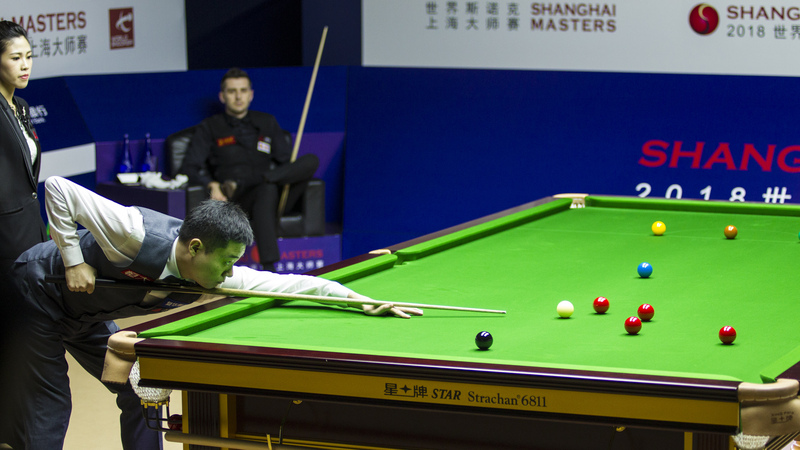 Ding Junhui saw off a Mark Selby fightback to edge a pulsating quarter-final clash 6-5 at the Shanghai Masters. The Chinese number one is aiming for his third Shanghai Masters title this week. Victory would see him collect his first title since the recent birth of his baby daughter. This was the second consecutive meeting between the pair to go down to the wire, the last being their 2018 World Grand Prix semi-final which Ding also won 6-5. The players were locked together at the mid-session, with the score at 2-2. From there Ding took control of the game and fired in breaks of 101 and 98 to move 4-2 in front. They then traded frames to leave Ding on the verge of victory at 5-3. Ding looked to have the match at his mercy in the ninth frame, before breaking down and allowing Selby to eventually deposit the final black to steal and pull within one. The Englishman forced a decider, but it was Ding who made a telling contribution of 53 to seal a semi-final spot. Barry Hawkins will face Ding in the last four. The Hawk defeated World Champion Mark Williams 6-4 to progress to the semis.